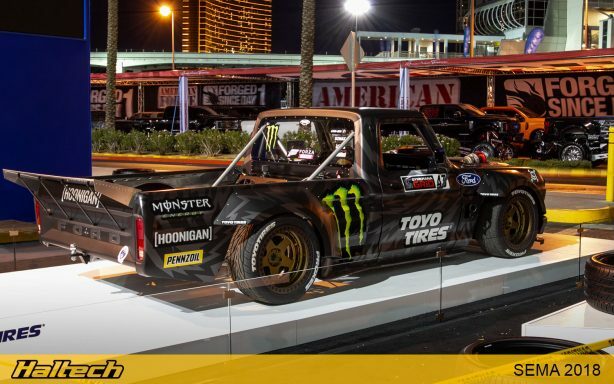 SEMA – the annual gathering of the aftermarket fraternity never fails to deliver the ideas, the inspiration and automotive eye candy. 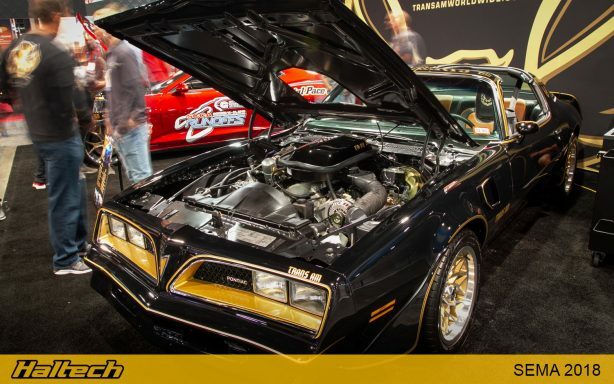 With so many builds and parts on display it’s an impossible task to cover them all in one article so today we feature the ones that really stood out for us. 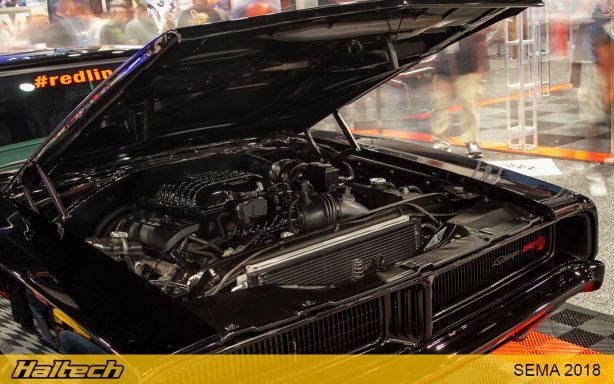 This wild Cheetah Evolution was one of the first cars we noticed after entering the main foyer. 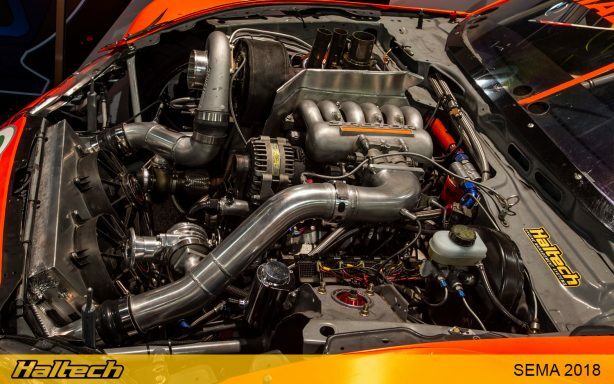 Powered by a V12ls.com with engine management via a Haltech Elite 2500 this bespoke performance car must be an absolute animal on the road! 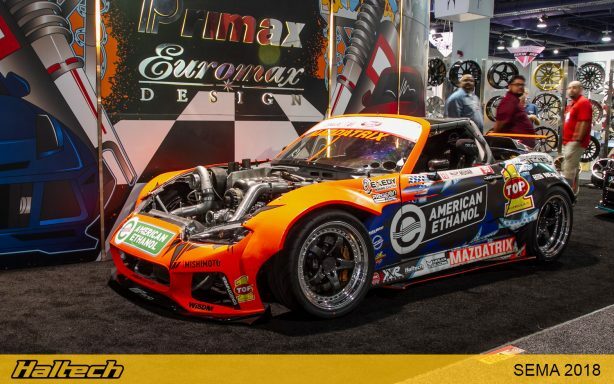 Kyle Mohan had his 20b-turbo powered Miata on display. 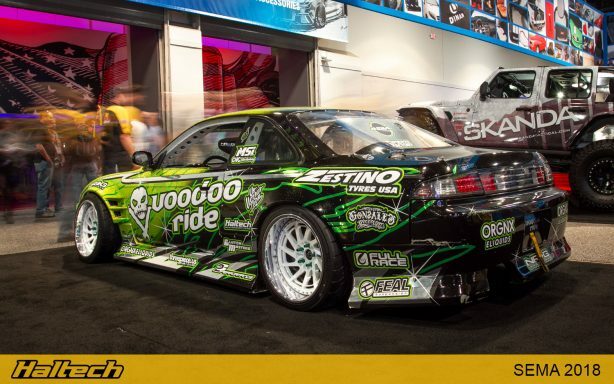 The car competes in Formula Drift and uses a full Haltech engine management setup to control the 1000hp triple rotor. 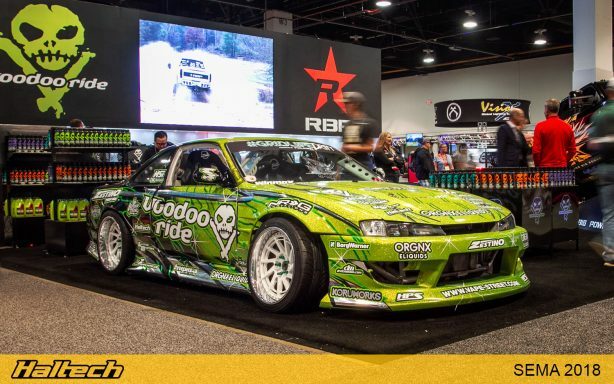 Ryan Litteral’s S14 was the hero car on the Voodoo Ride stand. 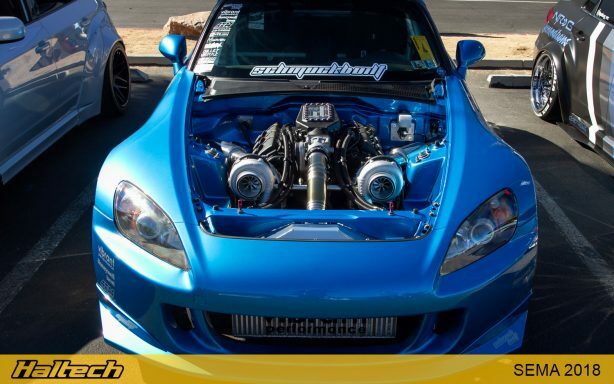 Ryan’s Silvia runs a sweet sounding RB25 complimented by a full Haltech set-up including Elite ECU and IQ3 dash. 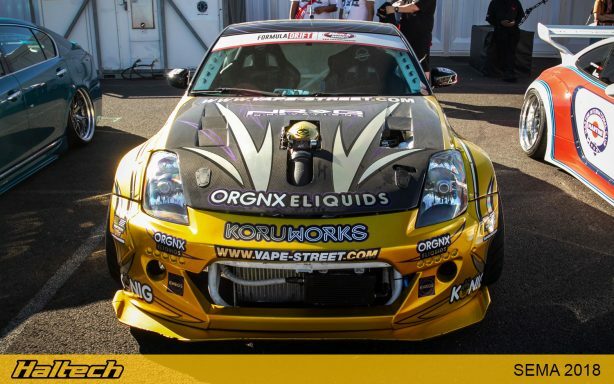 We also found Ryan’s other drift car, the Koru Works Nissan 350Z getting ready for a special “SEMA Ignite” event. 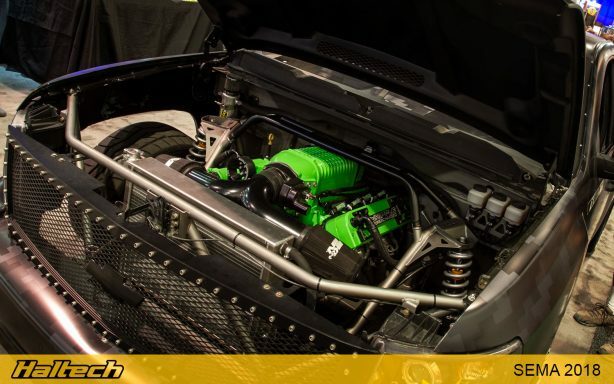 The Zed car is powered by an LS3 engine managed by a Haltech ECU. 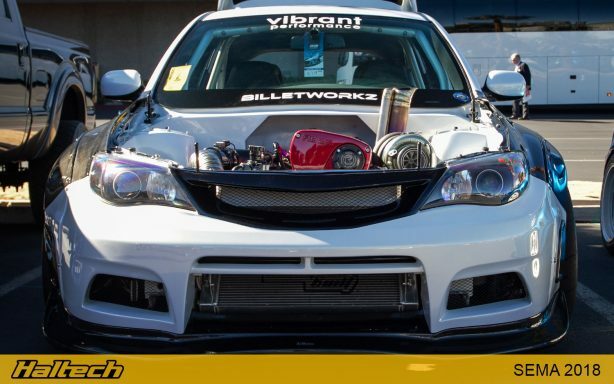 Austin’s RB-powered WRX certainly turned some heads! 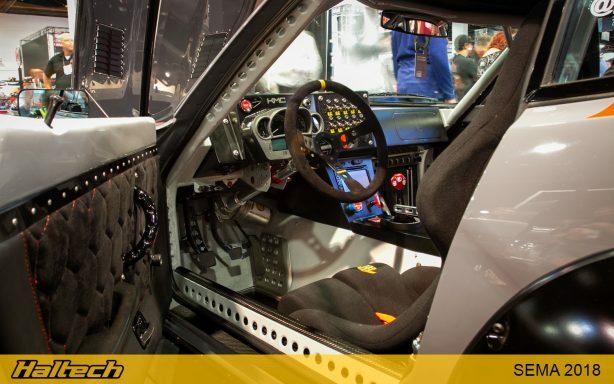 It is still an AWD, using a Nissan drivetrain with a Haltech ECU in control of the engine. 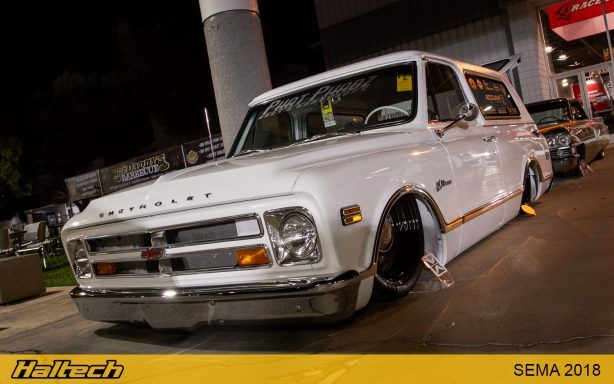 It was hard not to notice Doc’s Street Beast with one of the biggest engines on Street Outlaws! 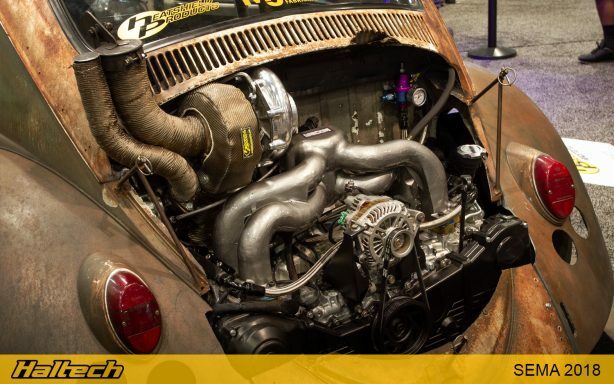 The nitrous-fed, 959ci monster runs a full Haltech engine management and data logging system. 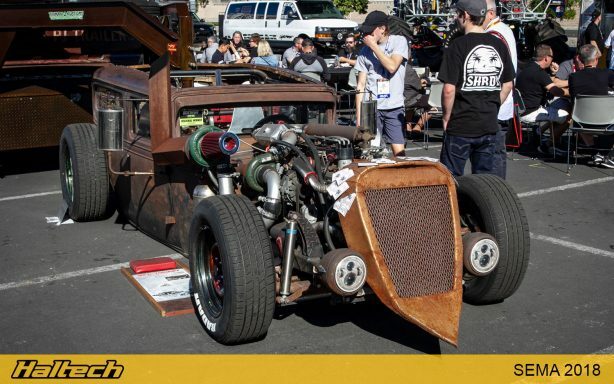 Another Street Outlaw, AZN, showcased the new engine setup in his “Dung Beetle”. 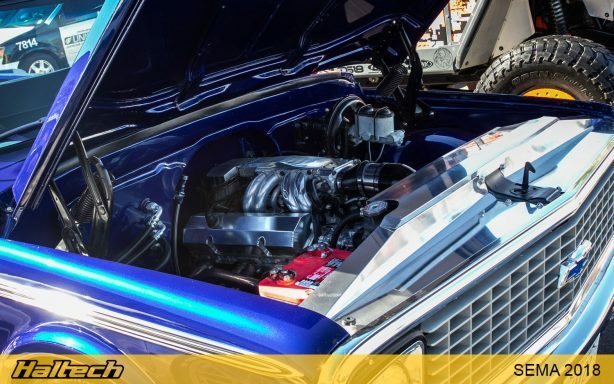 Gone is the air-cooled engine, replaced by a high-tech Subaru flat four with Haltech engine management. 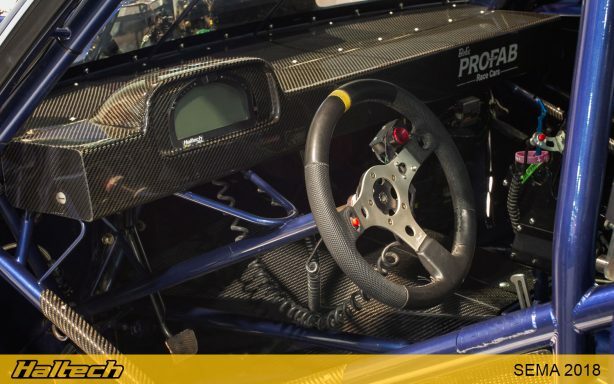 Can’t wait to see this car in action! 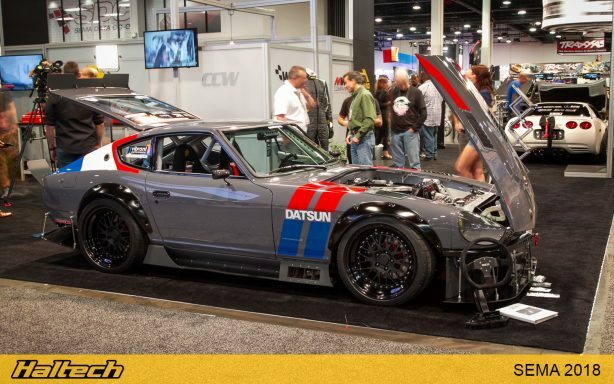 One of the coolest cars we #spotted at this year’s SEMA was this ’72 Datsun 240z. 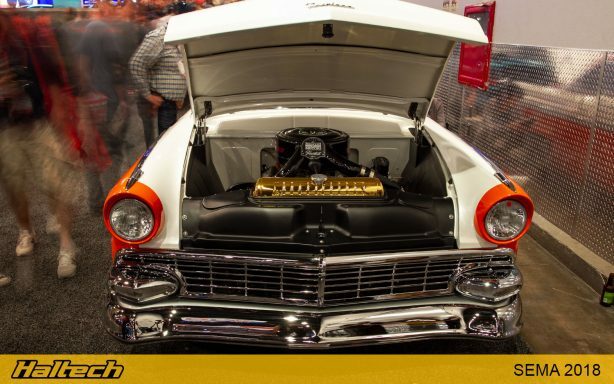 Known as “InZanity” this car was hand built by Kuhnhausen Metal Concepts LLC. 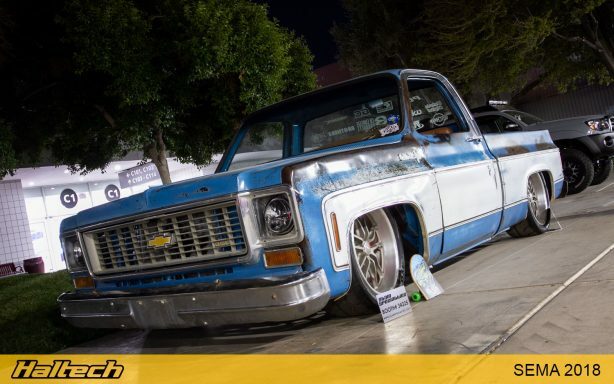 The attention to detail in this build is incredible. 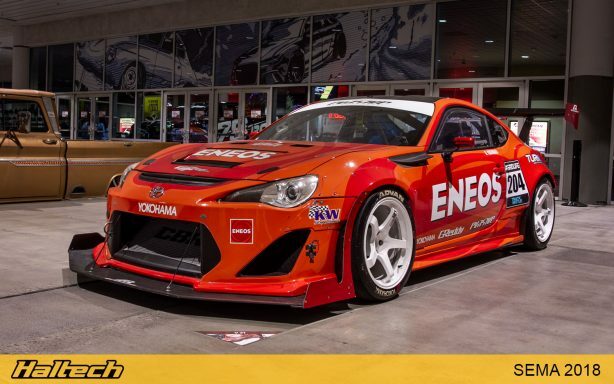 Seriously, the pictures don’t do it justice! This mental build was hard to walk by. 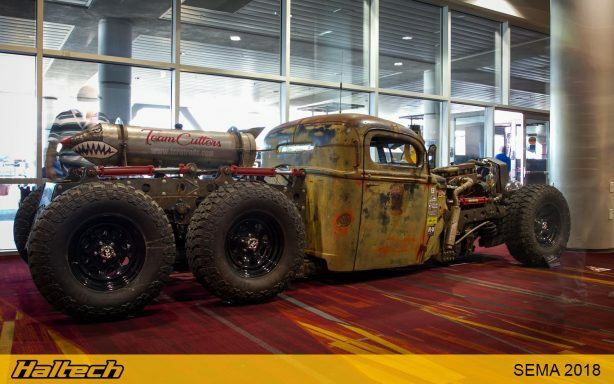 Built by TeamCutters it features a 6×6 drivetrain, and a whole lot of interesting fab work. 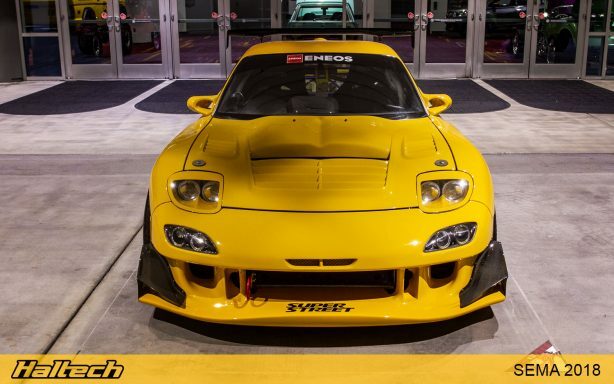 And just for good measure here’s one with a twin turbo Coyote swap. 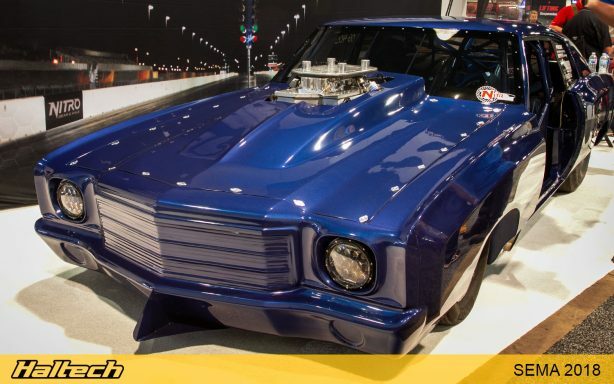 Wild-Torquey – a 31 Chevy powered by a compound-turbo, nitrous-huffing, 800hp, 1500ft/lb, 12v Cummins Diesel! 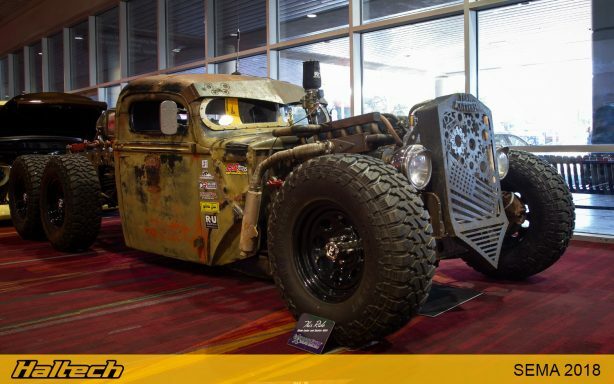 Built by Tinman II Kustoms. 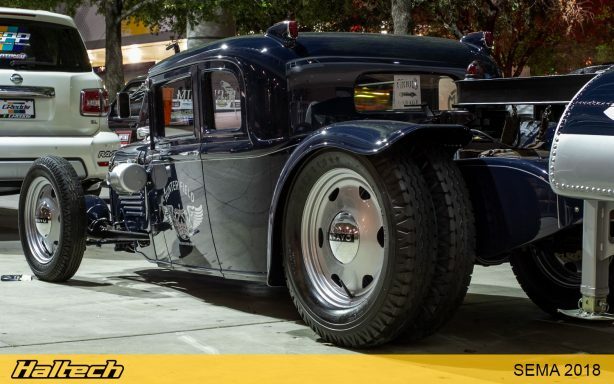 You can watch the whole build on the Tinman II Customs YouTube Channel. 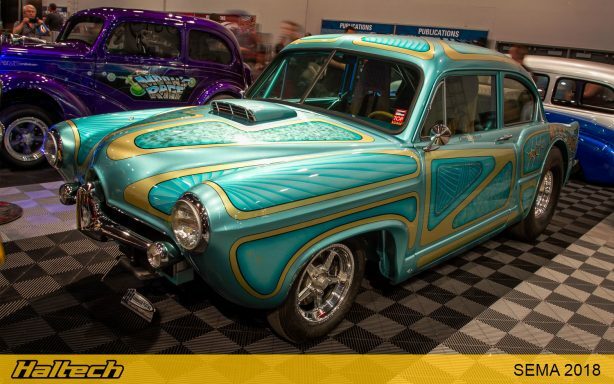 Here’s something you don’t see every day – a super rare 1952 Kaiser-Frazer Henry J that’s had the full custom treatment from Galpin Auto Sports – G.A.S. 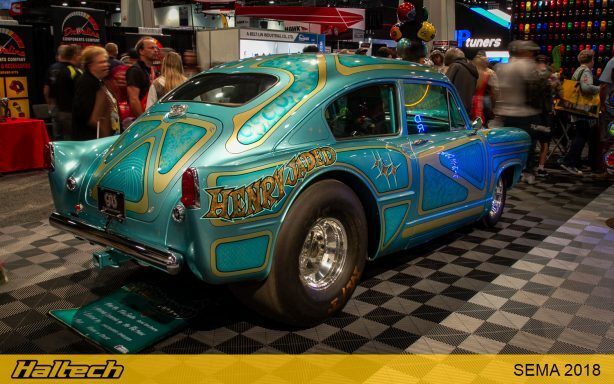 Beneath the wild paintwork, “Henry Jaded”, as it is known also packs a punch thanks to a 585ci Chey engine! 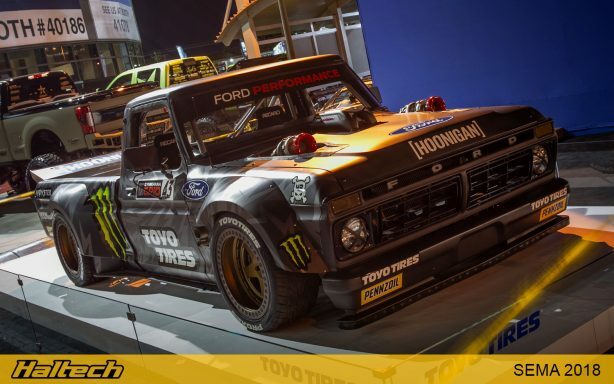 Ken Block’s new 1977 F-150 “Hoonitruck”, powered by a 914HP 3.5L turbocharged V-6 from the Ford GT. 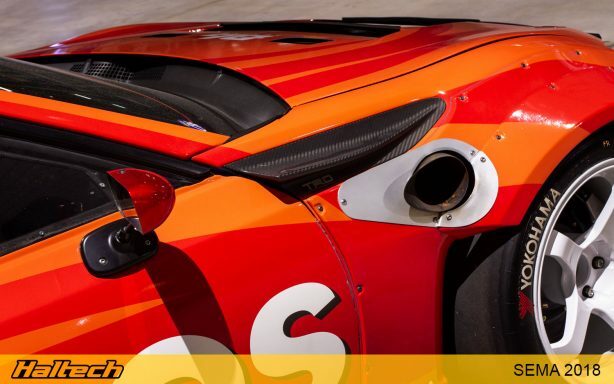 While the bodywork looks mostly standard, it’s actually all brand new, hand-hammered aluminium! 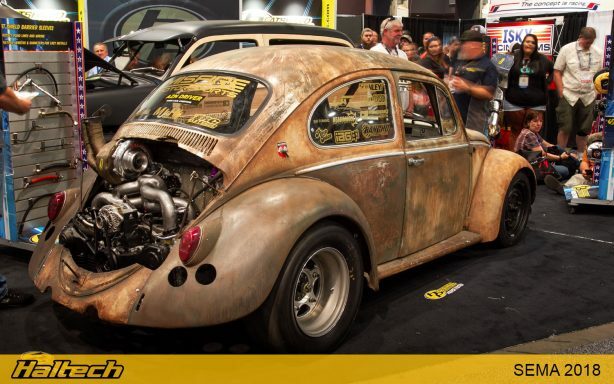 Hoonigan’s ScumBug. 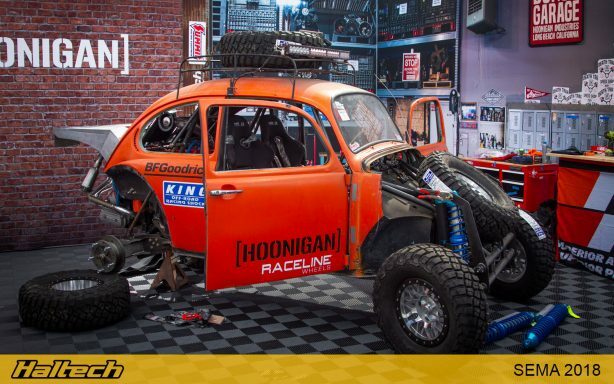 Costing a mere $2,500, the purpose this Baja Bug was for the Hoonigan team to head down to the Baja 1000 to follow the race on the chase roads. What an adventure! 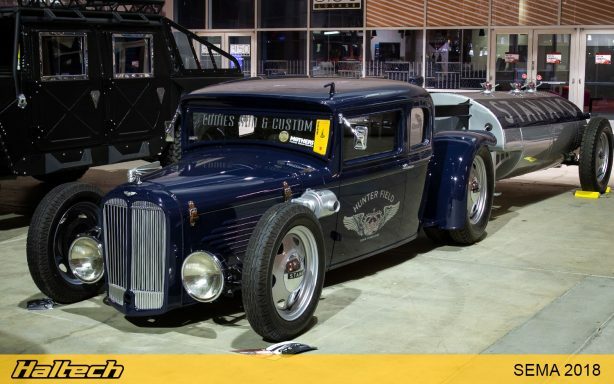 Some people just need to live the low life, and this 1932 Willy’s dubbed #LowStandard by Eddies Rod and Custom certainly lives it hard. 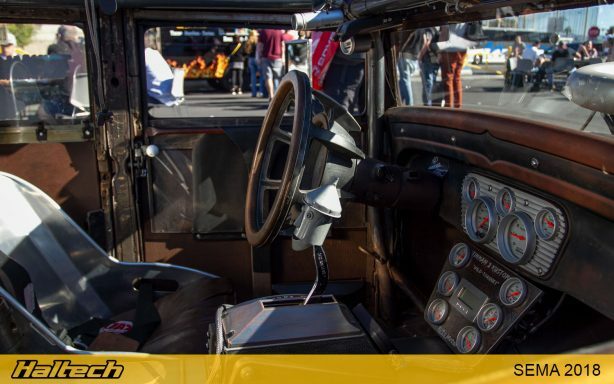 Powered by a Datsun 720 Turbo diesel engine, the once 4-door (now truck) Willys tows an original 1900s Standard oil tank, customised into a fifth wheel trailer. Amazing! Love it or hate it, there is no denying this R100 is a unique and an adventurous build. 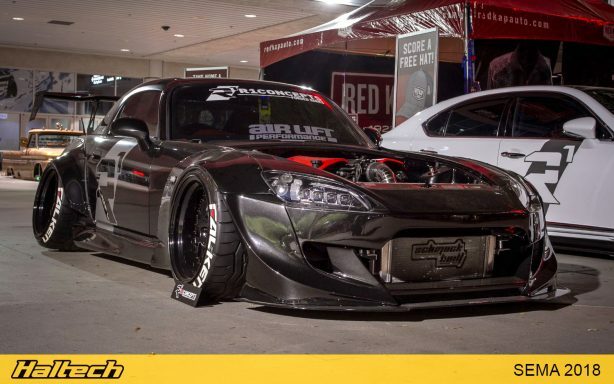 Super-wide body and a twin tyre setup at the rear are just some of the features that gave this car an overnight internet fame! 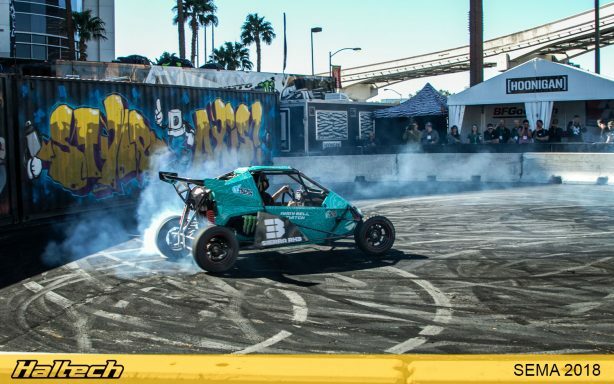 The Hoonigan’s Danger Dan took to the skid pad in the #SH!TCAR to put on a show, and put on a show he did! After some serious abuse the car finally blew up and even caught on fire much to the delight of the audience.